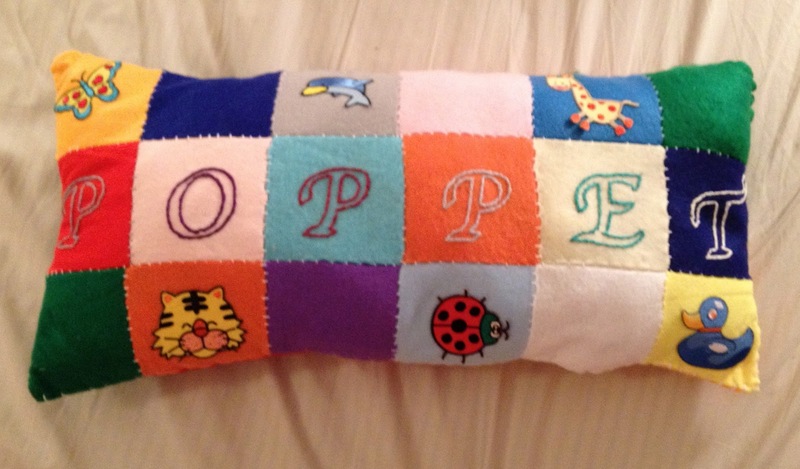 The Poppet is a patchwork felt cushion customised with a name and decorated with appliqué animals. The back is a random patchwork with a larger embroidered picture in the middle. 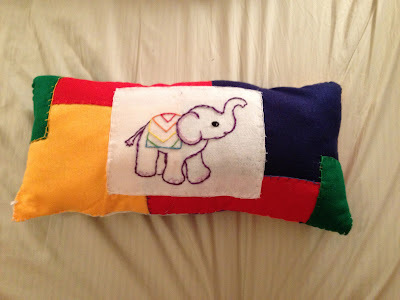 Size varies but each patchwork square is usually 15 - 20cm square.